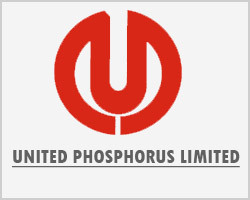 · Results well ahead of expectation: During the quarter, the consolidated revenues of United Phosphorous Ltd (UPL) grew by a robust 32% to Rs2,820.7 crore as compared with Rs2,144 crore in Q4FY2012 while the reported profit after tax (PAT) for the quarter stood at Rs278.0 crore, which include exceptional items of Rs35.2 crore. Adjusting to the exceptional items, the adjusted PAT stood at Rs313.2 crore, which was well above of our as well as the Street’s estimates. The revenue growth was aided by a higher blended realisation (4%) and currency benefit (16%) in addition to a 9% growth in the volume offtake, which was largely driven by a robust performance in America and Europe. · Marginal improvement in margin during quarter: During Q4FY2013, the operating profit margin (OPM) improved marginally by 21 basis points year on year (YoY) to 19.0%, thereby reversing the declining trend experienced in the margin in the past four quarters. This is largely on account of a better product mix and currency benefit. The management has guided for a 100-basis-point improvement in the margin in FY2014 over FY2013. However, we are factoring in a flat margin in FY2014 in our expectation. · Demand outlook remains optimistic; normal monsoon to play key role: The demand environment for the agrochemicals remains positive across the world on account of a favourable weather condition projected by the different metrological departments. North American and the domestic markets are expected to play a key role in revival of the demand for agrochemicals as both the markets were witnessing an uneven weather pattern. As per the guidance of the management, UPL will be able to achieve a revenue growth of 12-15% in FY2014, which is in line with our assumption of 13.3% growth in revenues in FY2014. · Valuation: UPL’s performance for the quarter was ahead of our estimate and its margin remains largely in line with our estimate. The commentary of the management also indicated a revival in the demand along with a growth in the volume in Latin America, India and North America. Based on the strong Q4FY2012 performance and the positive management commentary, we have revised our estimates upwards for FY2014 and FY2015 to earnings per share (EPS) of Rs18.7 per share and Rs20 per share respectively. We maintain Buy recommendation on the stock with a price target of Rs180.